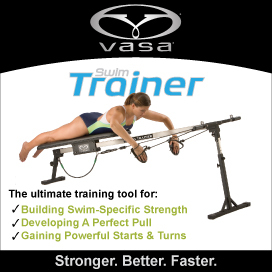 SwimCues is our Mobile version of MONA – a biomechanical model of optimal technique. SwimCues presents visual and kinesthetic cues for all four competitive strokes. Swiping to the side changes the view: front, side, top, and bottom. There is a play button on the bottom of the screen and single-frame buttons to go forward or backward.